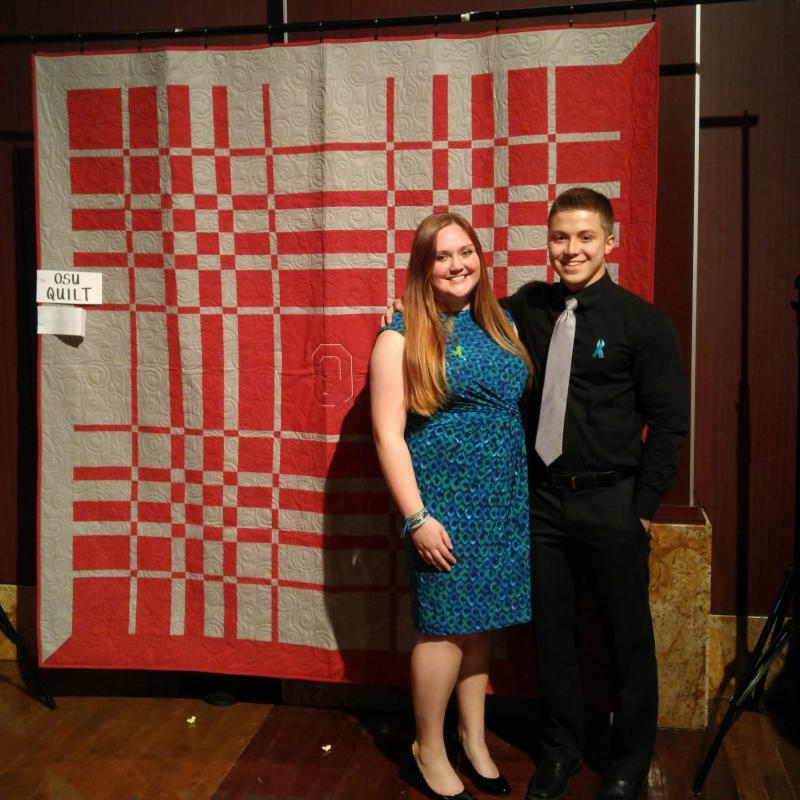 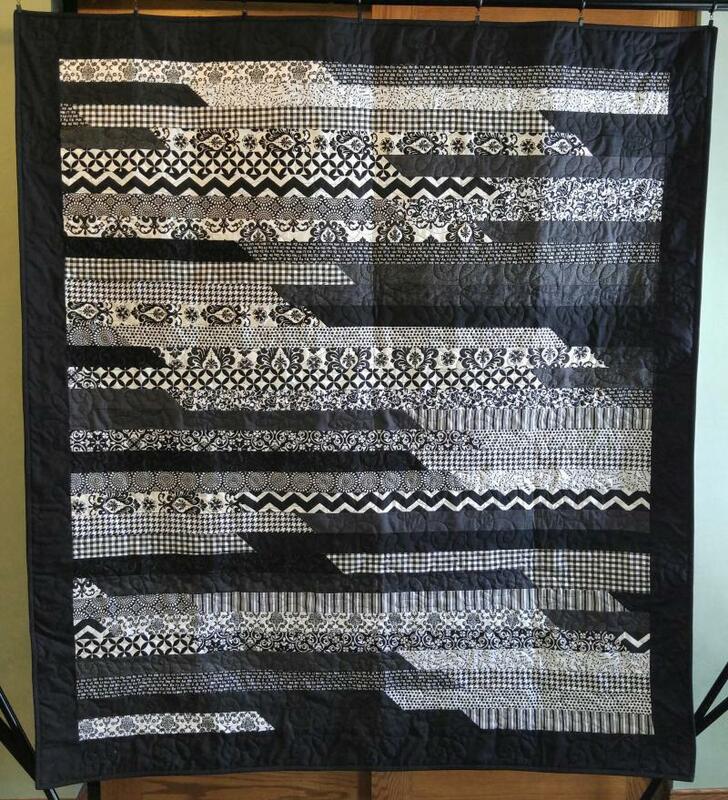 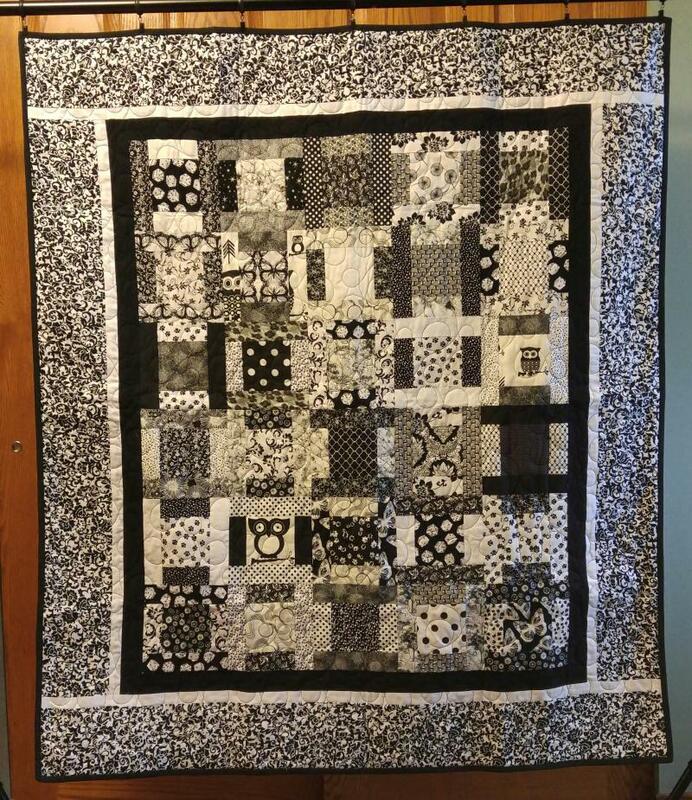 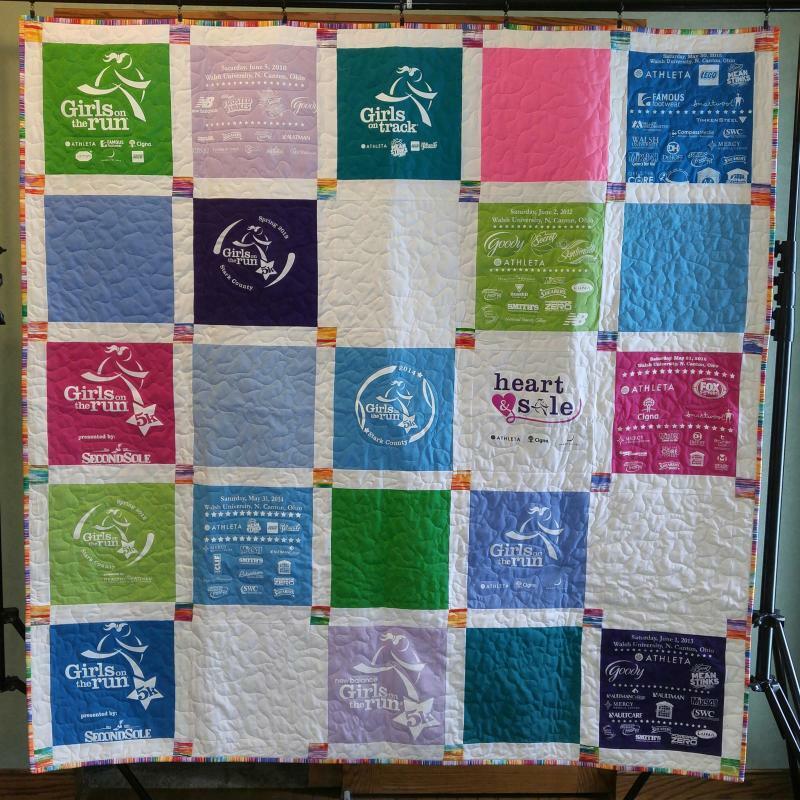 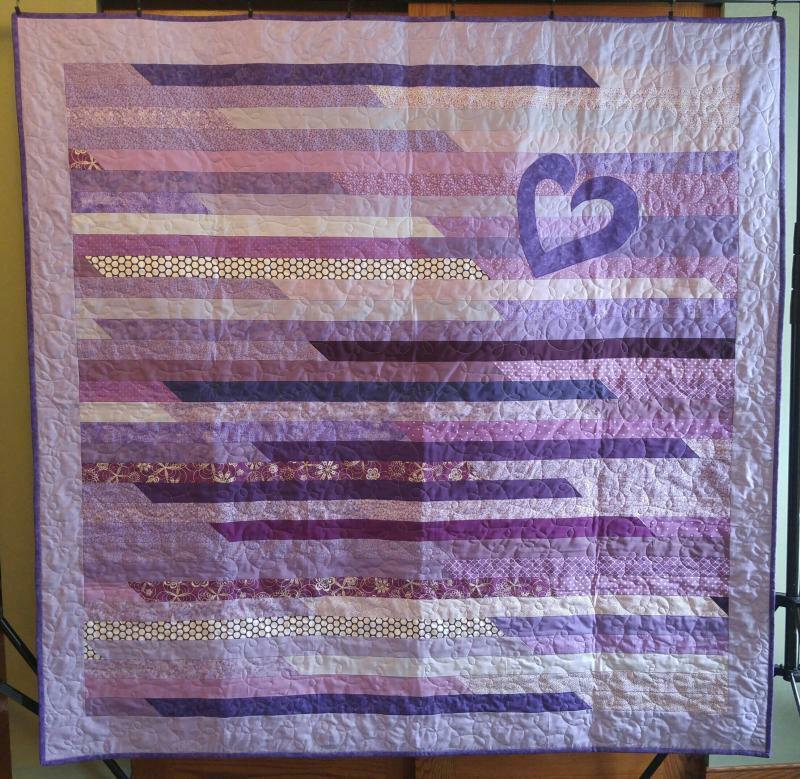 Girls on the Run auctioned this quilt to raise money at the Lunafest short film festival in 2017. 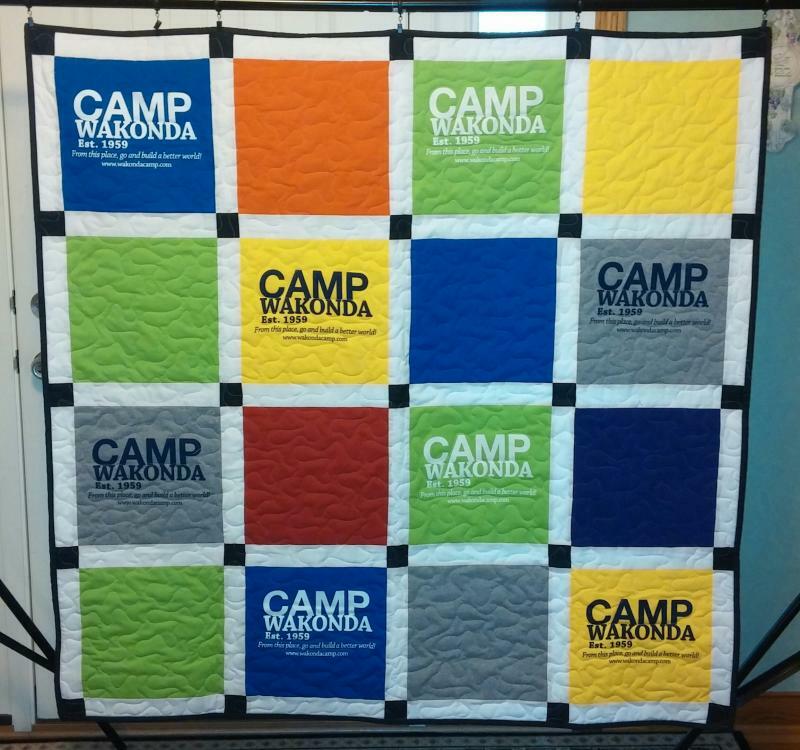 Camp Wakonda used this quilt to raise money to support the church camp and its Christian mission. 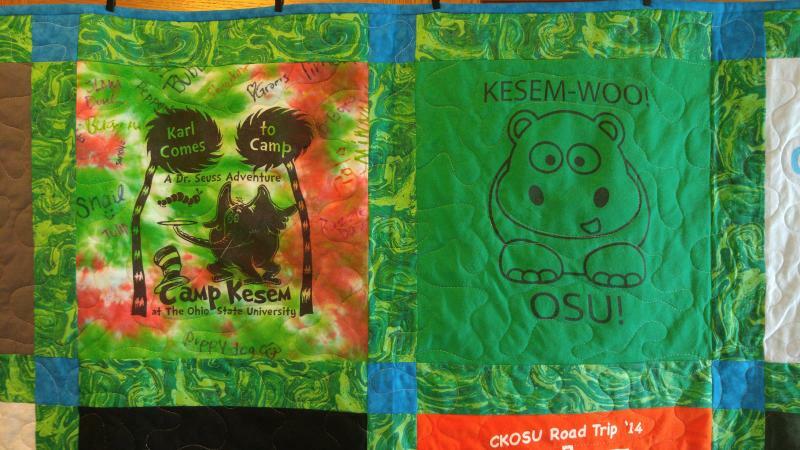 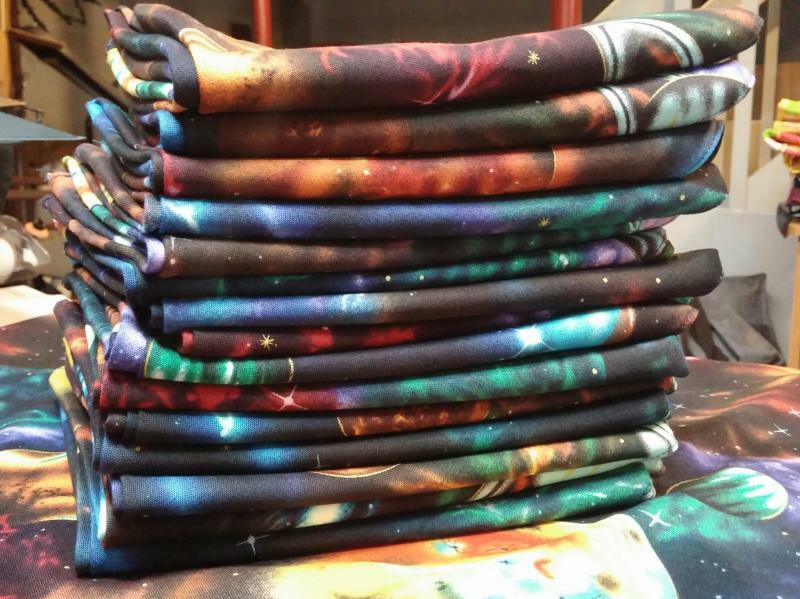 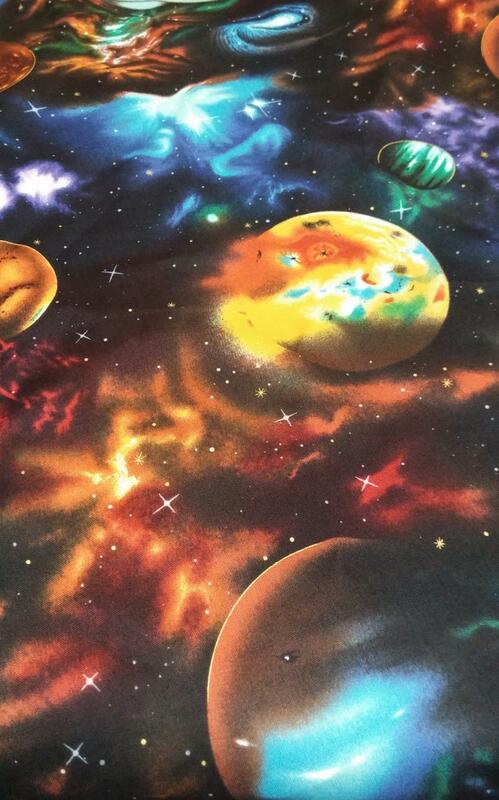 I made these 16 space bandanas for my son, his co-counselors and their campers at Camp Kesem OSU. 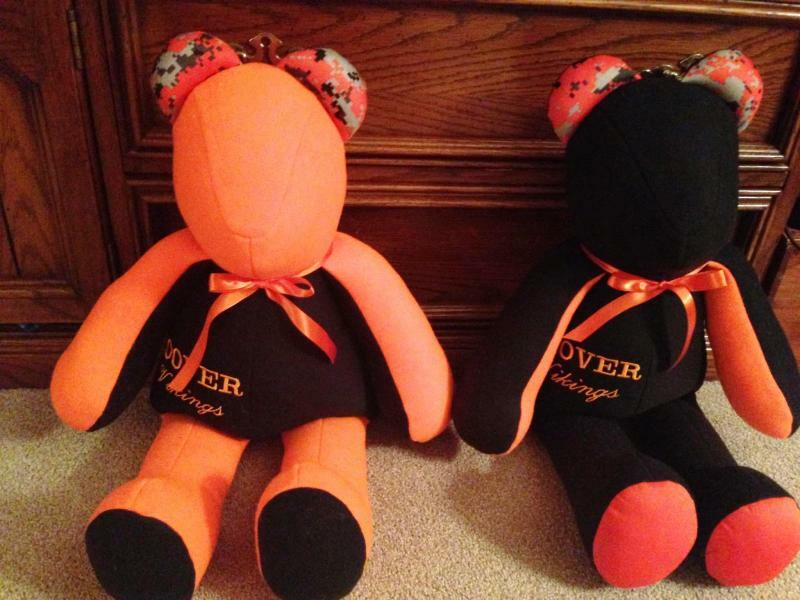 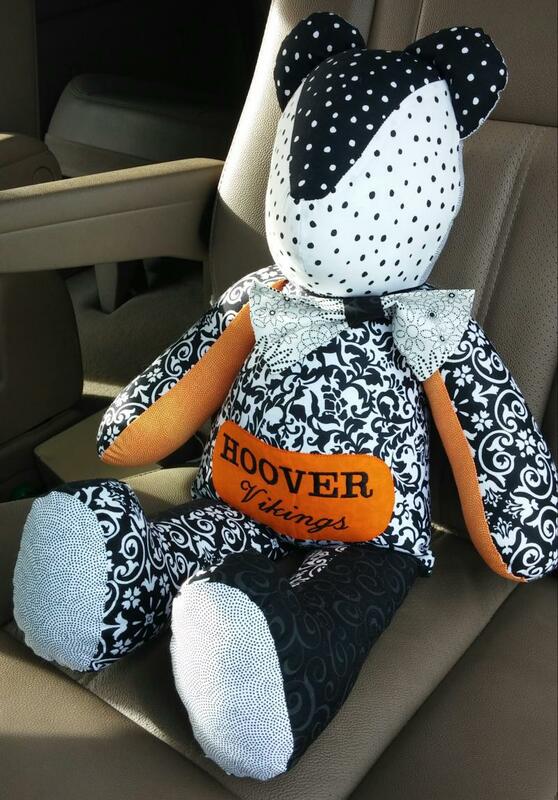 These bears were raffled for the Hoover After Prom party in 2015 & 2016. 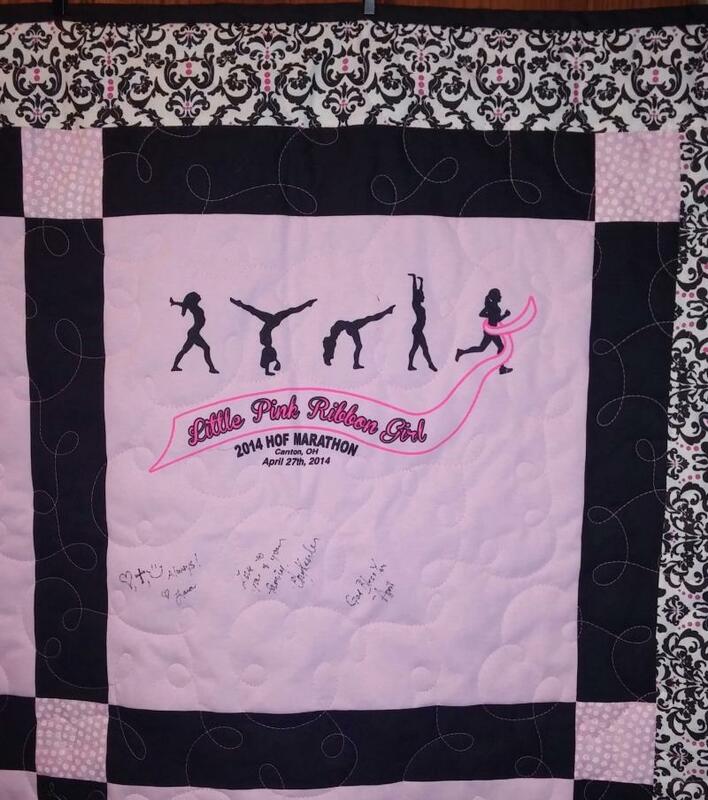 ﻿﻿My friend, Katie, ran a marathonin support of her friend, Angie, "Little Pink Ribbon Girl". 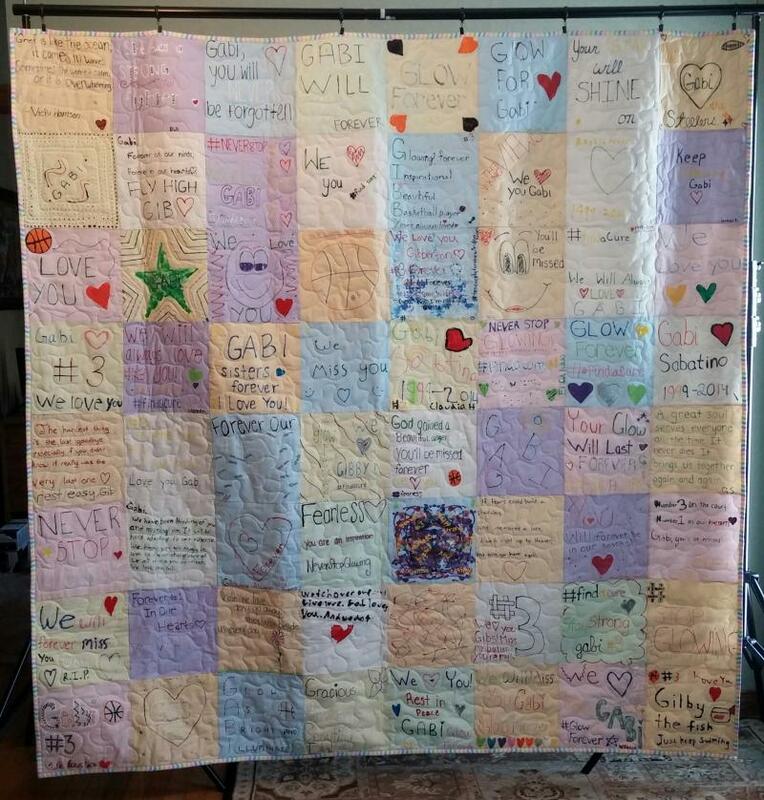 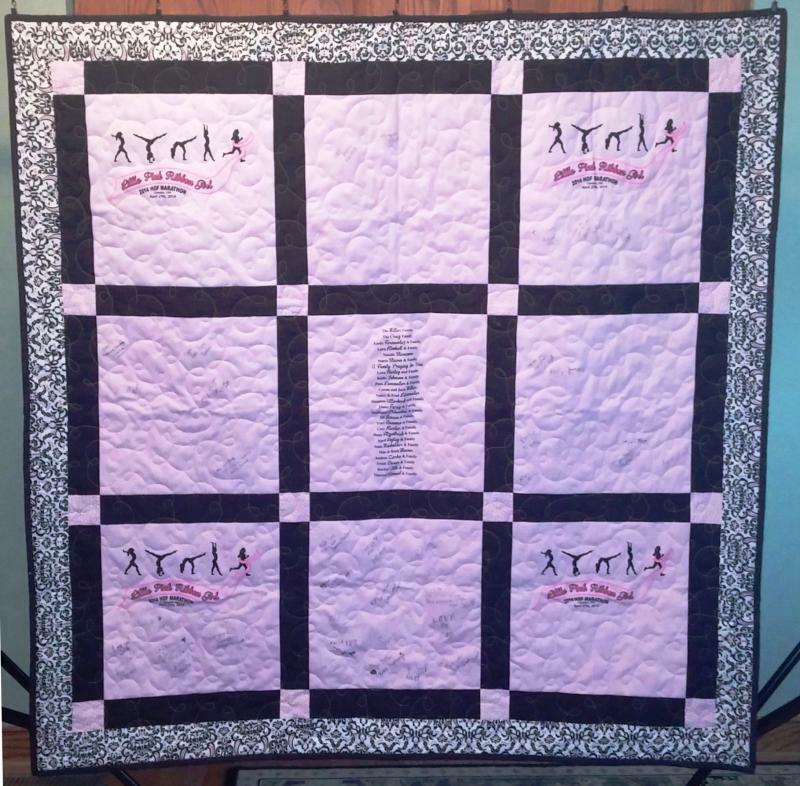 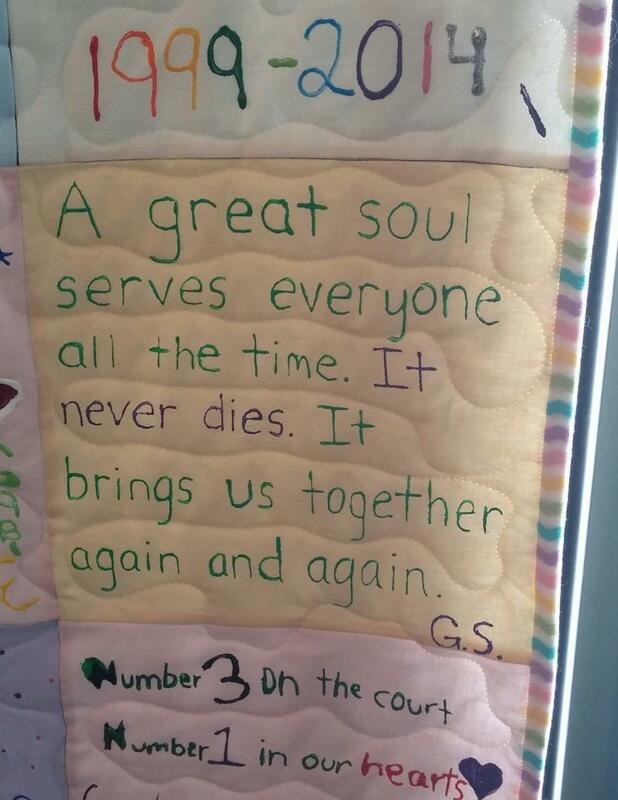 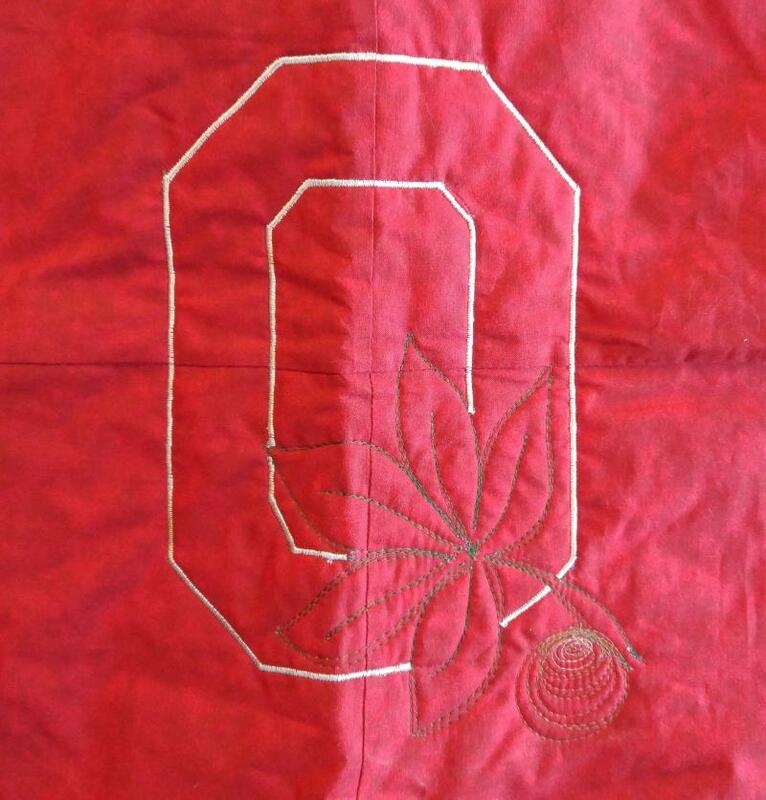 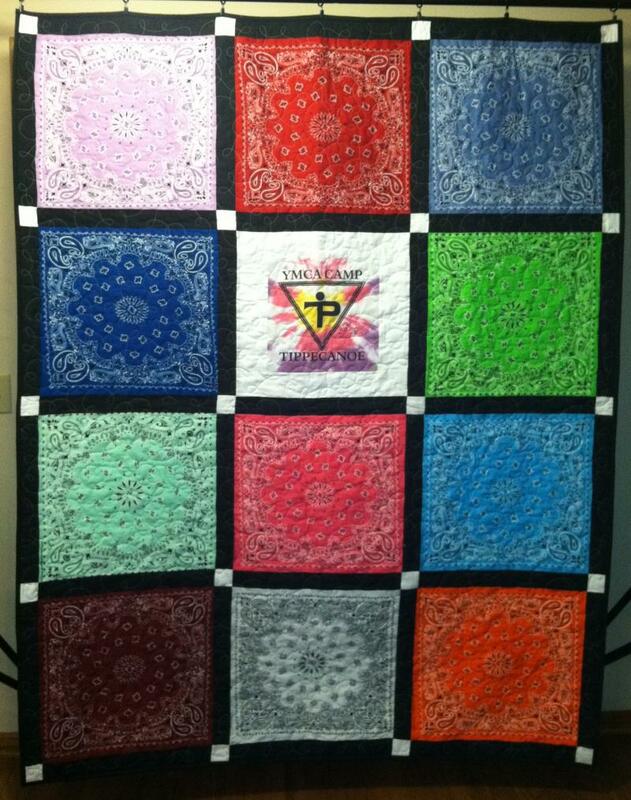 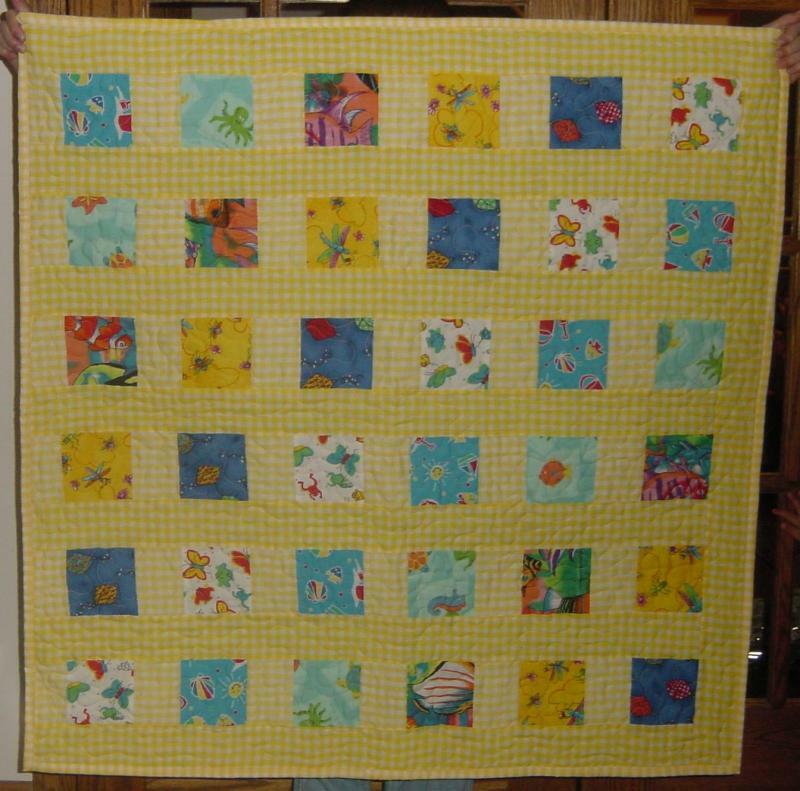 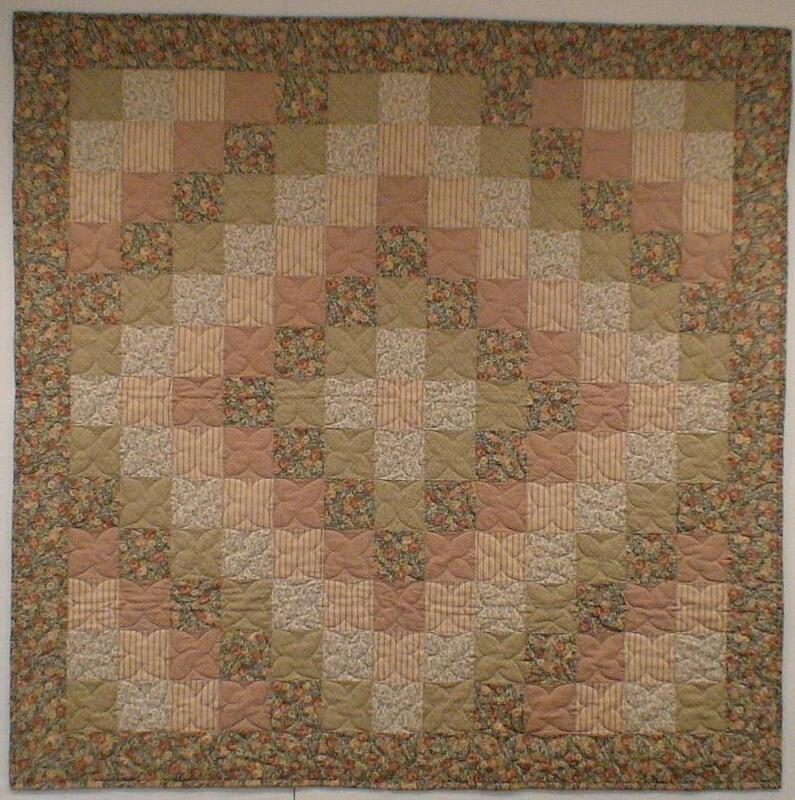 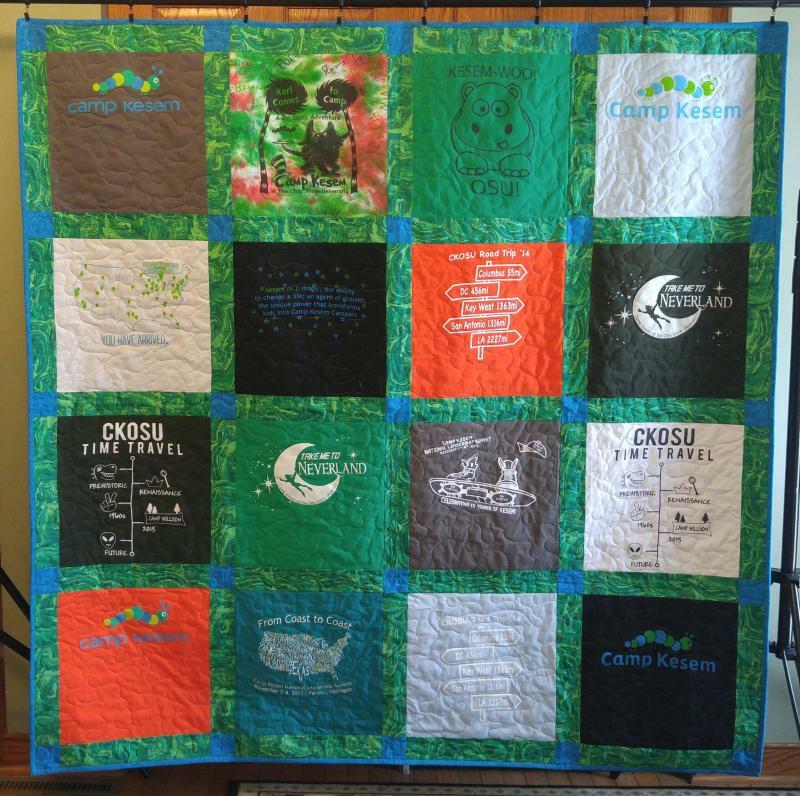 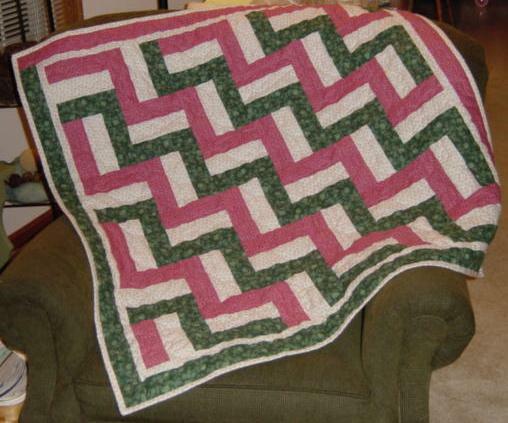 This quilts bears the signatures and good wishes of Angie's friends and supporters. 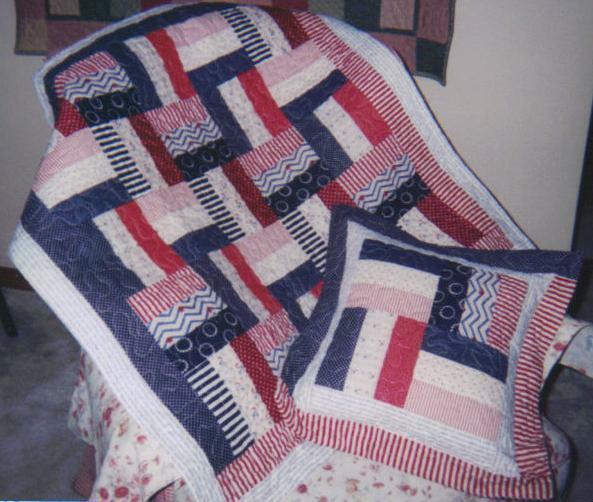 This "Americana" quilt and matching pillow were auctioned in 2003 to benefit families affected by Prader-Willi Syndrome. 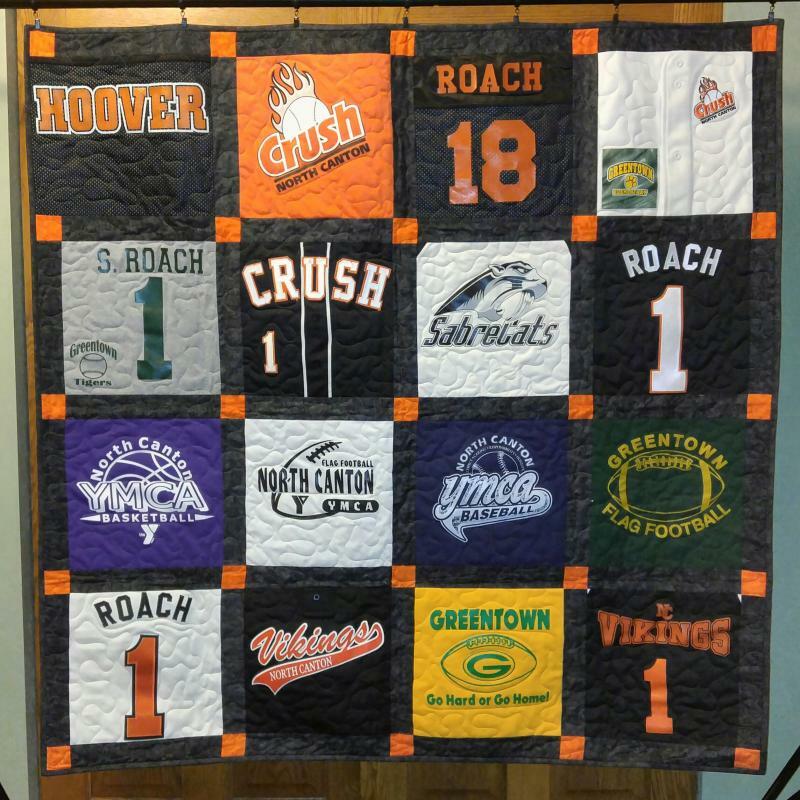 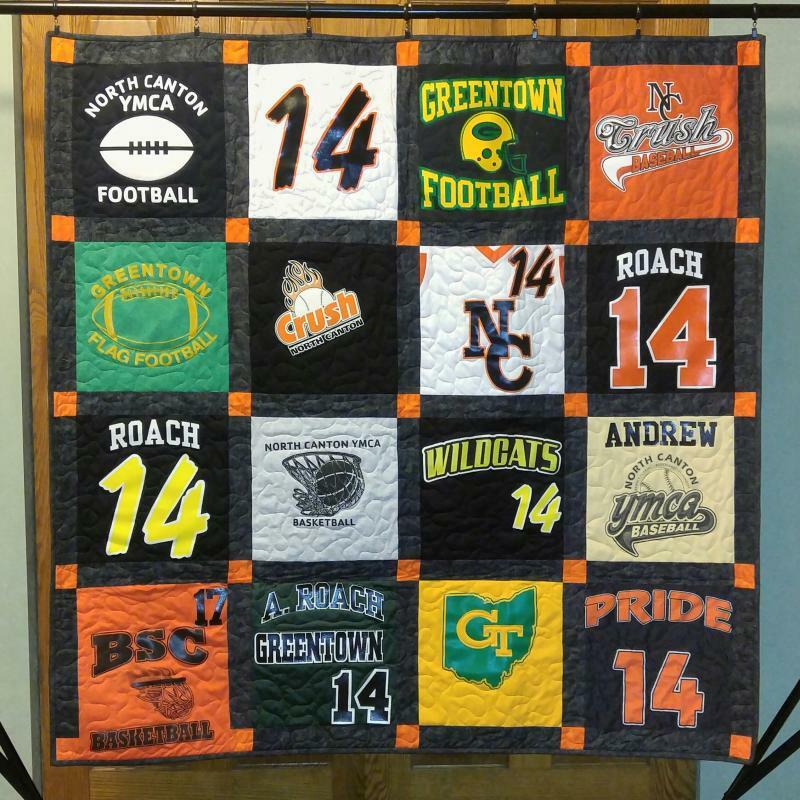 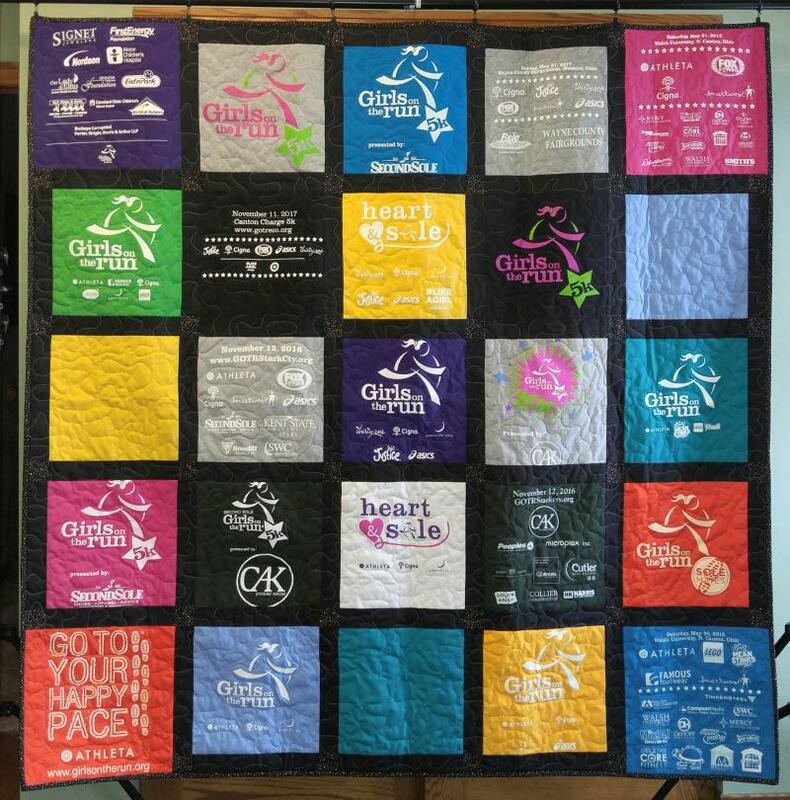 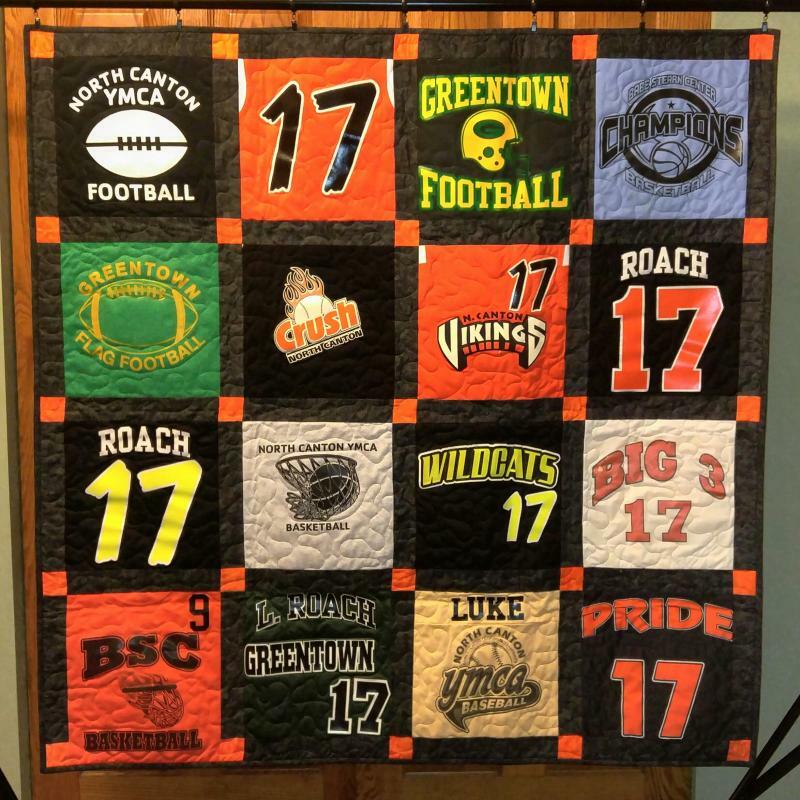 This quilt was raffled for the 2nd annual Viking Victory Run in support of North Canton Schools in 2013. 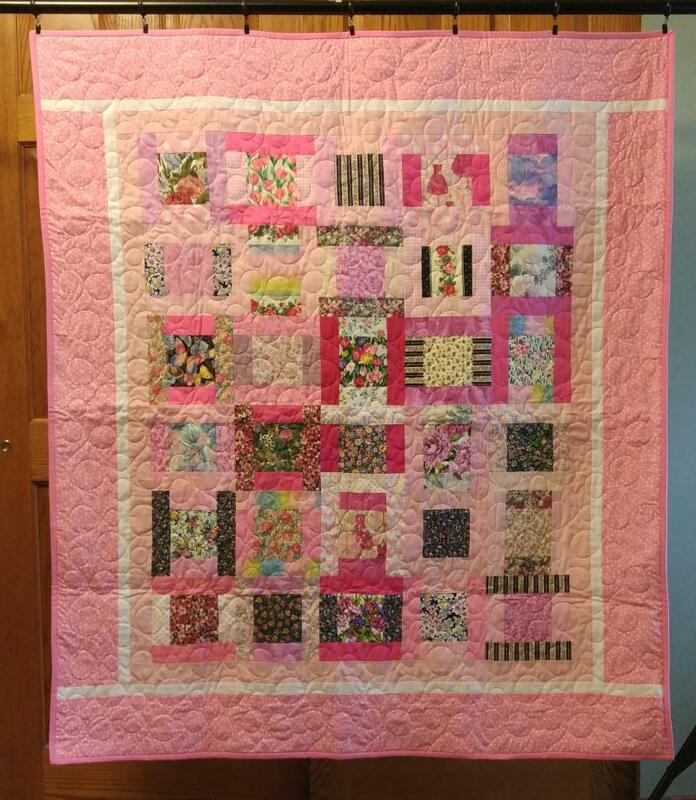 This "Flowers Around the World" quilt was raffled to raise money for the Geneva High School Choir. 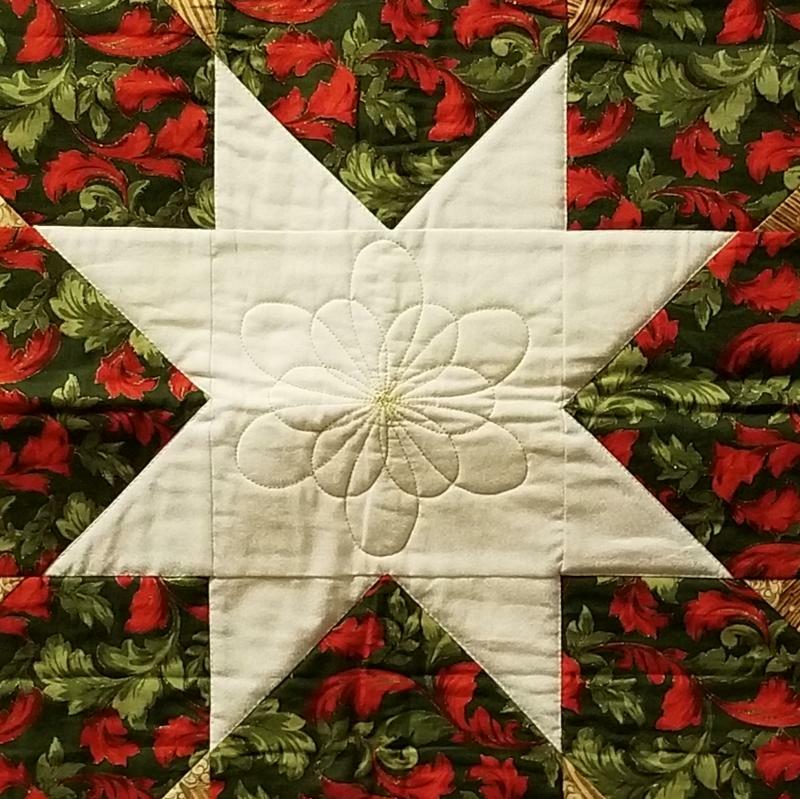 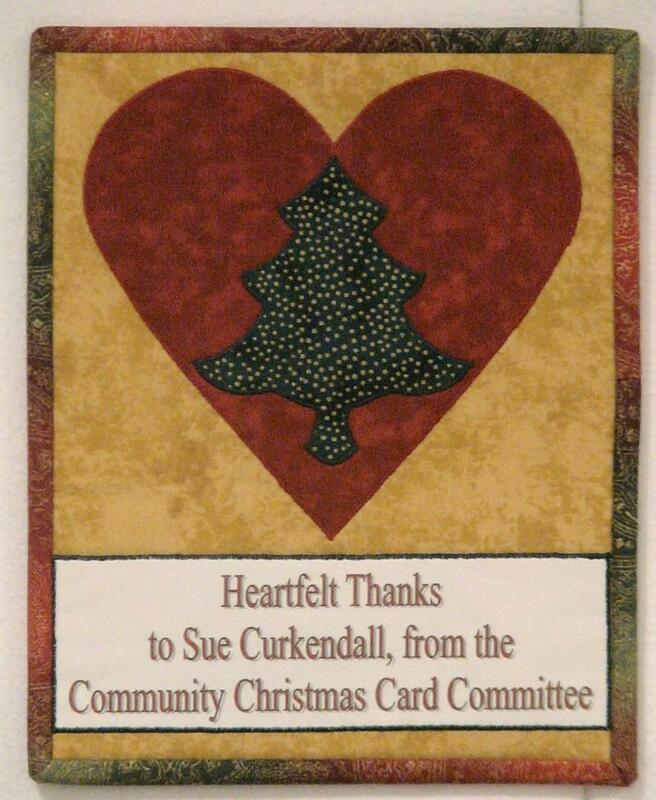 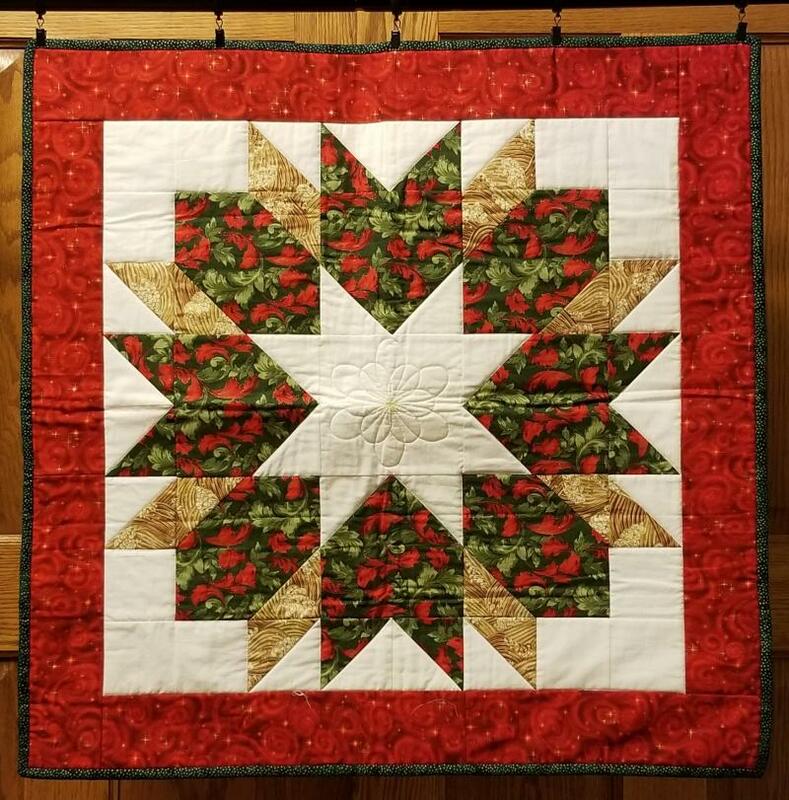 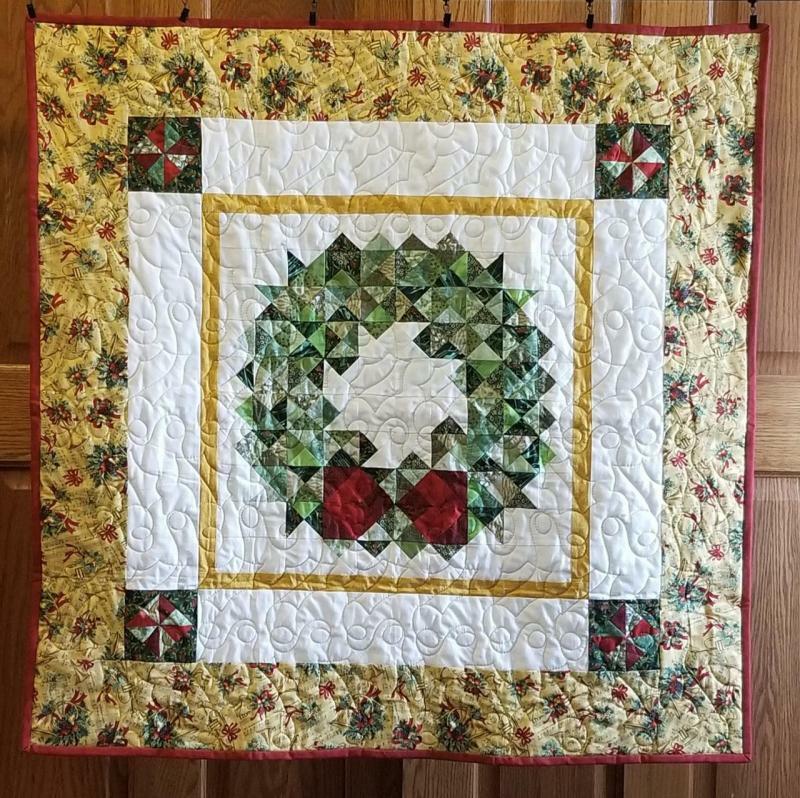 This 8" x 10" greeting card quilt was a thank you for someone who donates quilts to the Community Christmas Card Committee.